Preeclampsia can pose high complications during pregnancy as it is characterized by protein in urine and arterial hypertension. Approximately 5% of pregnant women have preeclampsia. This complication usually starts around week 37, even though it can also occur during or after giving birth. Preeclampsia can range from mild to severe, and even though symptoms are not always noticeable, it can be dangerous for you and your baby. The earlier you get preeclampsia in your pregnancy, the riskier it is for you and your baby. This is why it’s so important to have your doctor diagnose it promptly and give you the proper treatment and guidelines.Why is preeclampsia dangerous? When you have preeclampsia, your blood vessels contract causing blood pressure to increase, and blood flow to other organs decrease. This is why organs like the brain and the liver could suffer severe damage. Decreased blood flow to the uterus could affect the baby. If you have severe preeclampsia, your baby could be born preterm, which could cause problems in some of your baby’s organs. Swelling during pregnancy is common. However, if you notice swelling with no apparent reason or too much swelling it could be a sign of preeclampsia. The most noticeable swelling can be seen around the eyes, face or feet. Swelling due to preeclampsia is usually accompanied by other symptoms like a headache, nausea, pain in the upper abdomen, and change in vision. However, not all women manifest these symptoms, or they could be confused with the usual pregnancy symptoms. This is why it’s so important that your doctor checks your status in each of your prenatal appointments. 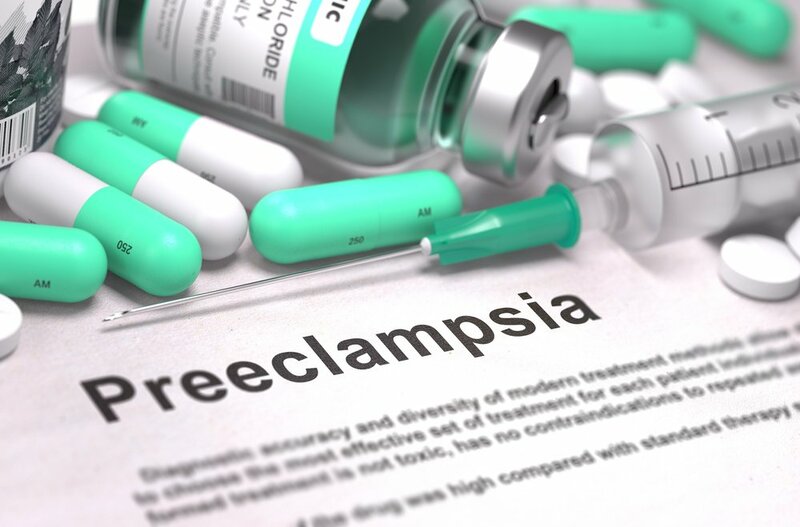 Preeclampsia is more common in women who are pregnant with their first child, women who have had chronic hypertension, women who have diabetes, obesity, lupus, kidney disease, women who are having twins, or who are younger than 20 years of age or older than 40. Remember to visit your doctor if you notice any symptom or signs of preeclampsia.